Diyarbakir (Turkey) (AFP) - Turkish security forces killed 18 militants from the Kurdistan Workers' Party (PKK) as they battled the rebels in curfew-hit towns in the country's troubled southeast, the army said Saturday. Sixteen were killed in the Cizre district of Sirnak province near the Iraqi border on Friday, while another two died in the Sur district of Diyarbakir, the army said in a statement. Also in Sur, one soldier was wounded in a gun attack on Saturday while three other soldiers and a civil servant were also wounded when a remote-controlled bomb laid by militants was detonated, security sources said. The security forces detained 58 members of the PKK in the town of Silopi in Sirnak on Friday as they attemted to flee the area disguised as residents, the army added. A new upsurge of violence between the security forces and Kurdish rebels erupted in July in the wake of attacks blamed on Islamic extremists, shattering a fragile two-and-a-half year truce. 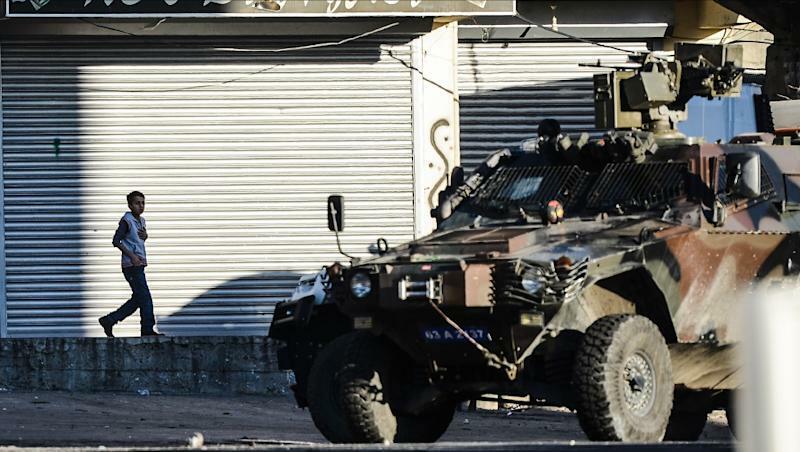 Silopi and Cizre as well as much of Sur have been under a blanket curfew since early December as Turkey security forces seek to flush out Kurdish militants from the towns. The army says that that a total of 426 PKK members have been killed in the three towns since the current campaign started. With the curfew-affected area closed to the outside observers and the media, it has not been possible to independently verify the figures. The government says such measures are needed to drive out PKK fighters who have effectively taken over towns by erecting barricades and digging trenches, but Kurdish activists say the use of force has been wildly excessive. President Recep Tayyip Erdogan said 3,100 Kurdish militants had been killed in 2015 in PKK strongholds in southeastern Turkey and northern Iraq. The PKK launched a formal insurgency against the Turkish state in 1984, initially fighting for Kurdish independence although it now presses more for greater autonomy and rights for the country's largest ethnic minority. The conflict has left tens of thousands dead.